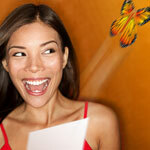 1 personalized double card + 1 green MagicFlyer® flying + 1 envelope. Card: 15x15cm or A5 offset color printing duplex. Decreasing prices according to quantities. Your special Magicflyer “Mailing Pack” starting at 100 units ! 1 completely personalized double card , 15 x 15cm or A5, 4 pages, Frontside/Backside, 4c. Rewinding of the butterfly Magicflyer included. You will receive a completely personalised mailing, ready to be sent and ready… to surprise! 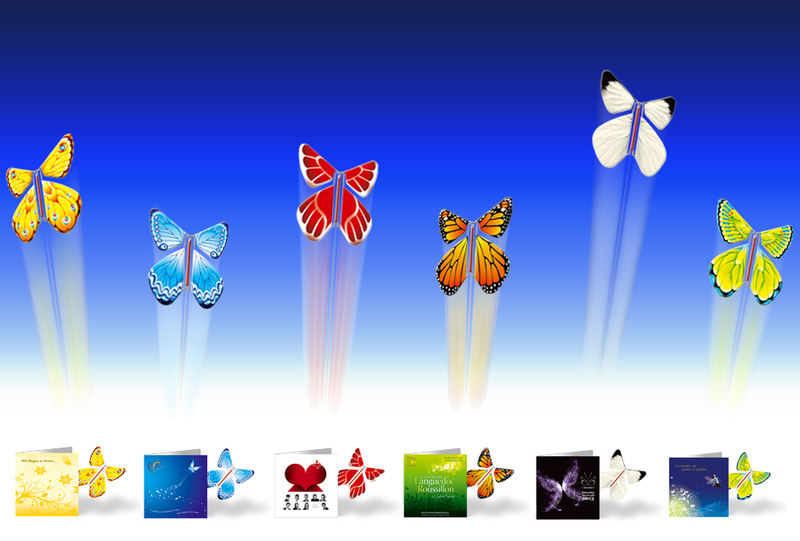 Select one or more colors of butterflies to be associated with your shipment, among the six colors of the collection company.